I am so happy that I came across your blog! I am just starting my TL journey. I love how you have segmented the job of the teacher librarian into different hats. It is a perfect metaphor and also a great visual to remind us of all the different roles we play. I particularly love this sorting hat as I have been trying to wrap my hear around what makes a good resource and how can I be the one to determine that! Thank you for this fantastic resource! Thanks Laila. When you are further along in your journey, you will come across the concept of Collection Development and the practices associated with that – (this one is more about collection management) – and that will help you make decisions about what resources are applicable to and appropriate for your teachers and students and there are many factors that come into play.. I’ve written a sample policy at http://500hats.edublogs.org/policies/sample-collection-policy/ that should guide you with your decision making along with all the readings, discussions and insights you will get from the unit itself. Good luck. Your whole blog really resonates with me, as I settle into a TL position in a primary school and become certified as a TL, I’m feeling the excitement and challenges related to wearing so many hats! The Sorting Hat, however, has captured my current state and will definitely assist in my decision-making process regarding our collection. It is a dated group of books to say the least, and our once K to 5 school is now K to 3, so many of the non-fiction books are needing to go due to lack of connection to the curriculum, and many are simply too high of reading level for my young audience. I have struggled with how to sort the books, the young four and five year olds in Kindergarten just don’t go diving into shelves that are chalk-full of books to “shop”; they need bins, I need bins to help them look at ALL of our books….but I will need to further investigate on how our students would like to see the library organized. Not sure if genre is the answer…but you’ve provided me with a great starting place in sorting. Thank you! 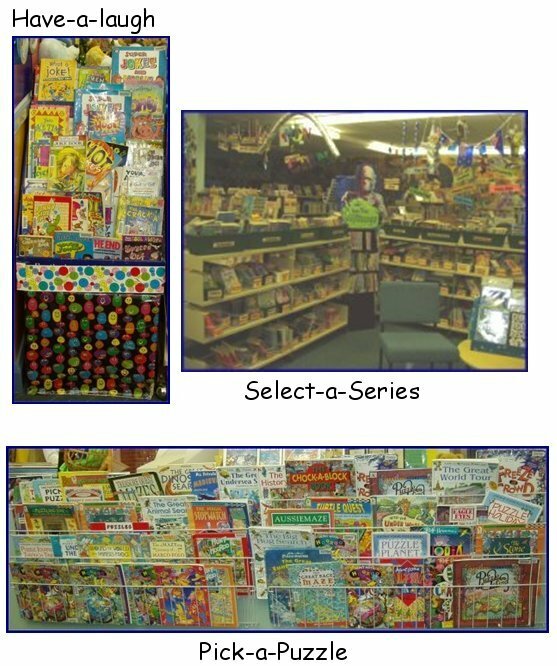 There are several ways you can make your collection more appealing to the very young. If you can’t get bins so that books are displayed with their covers facing out, use sturdy, uniform boxes (cover in adhesive vinyl like Contact to add colour, if necessary) and consider putting Family Favourite series like Elmer, Dr Seuss, Peppa Pig and whatever else you have in their own boxes. Favourite authors for this age group like Mem Fox can also have their own boxes and fairytales can be collected together too. This helps littlies feel empowered because they can find something familiar on their own and helps them understand that the library has stuff for them. Your novels can have similar storage, collecting series together in boxes so they are easy to find. Authors like Andy Griffiths can also have their own boxes. Genre is not the answer for young students, IMO, because that is not their preferred search tool. They go by character, cover, series, author – they are unaware of the various arbitrary labels like mystery, adventure etc and indeed, most books for this age group do not fit specific genres. Don’t discard non fiction just because it is not curriculum related or seems to be at an inappropriate reading level. Never underestimate how much children learn from pictures and then wanting to know more about the widest range of subjects, not just those covered by a formal curriculum, and understand the power of books like the Guinness Book of Records that compel small groups, particularly boys, to pore over them and share their discoveries. Their talking about their reading is a critical part of their literacy development. Yes, the library has a significant role in supporting the curriculum and reading development but it has a much wider role for littlies who are still forming their attitudes towards school, libraries, learning and reading and the more diversity we can offer to meet all their needs, interests and abilities, the more likely we are to foster positive attitudes. If you feel compelled to do some weeding to declutter the shelves, remove books that are damaged or with clearly out of date information or layout. But leave them in a box in a storeroom until you have been there at least a year and have had time to assess the children’s borrowing habits, the things they are interested in and request, the resources teachers ask for and so forth. The situation of “new brooms” moving in and sweeping out the shelves only to find they’ve removed stuff without being fully informed about their clients’ needs and preferences is very common and does nothing to establish positive relationships between themselves, staff and students. Make yourself familiar with the current collection policy if there is one, or, if not, have a look at the Deselection section of my sample policy so you have something to guide you and also help you defend any challenges that come if you remove things that others feel you shouldn’t.